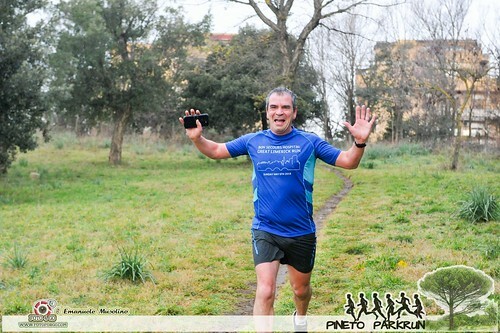 The rain did not deter the 27 fearless parkrunners who met up on Saturday to run or walk our weekly 5km. Once again, Emanuele Musolino also braved the bad weather in order to present us with some beautiful photos (link to gallery). 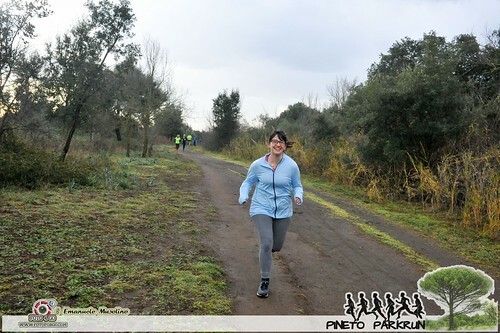 The new entry Elena MENEGUZZO also posted a fantastic time, which saw her claim the role of fastest woman on the day. 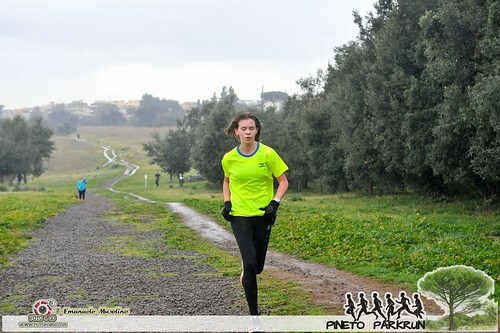 She is obviously a chip off the old block, as her Dad Graziano and Mum Cristina IMBUCATURA, who also took part in their first parkruns, seem to be runners well capable of holding their own. 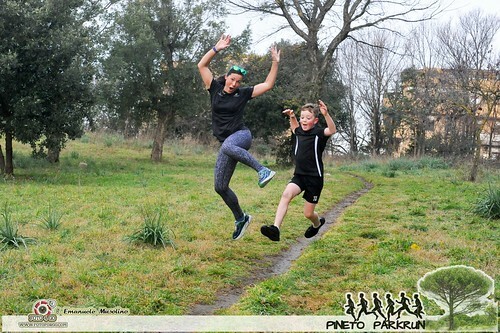 A variety of Australian and English tourists came to visit us on Saturday, amongst them the WATT family from Australia, led home by Elke WATT who with her 204 parkruns was also the veteran of the day by a large margin. 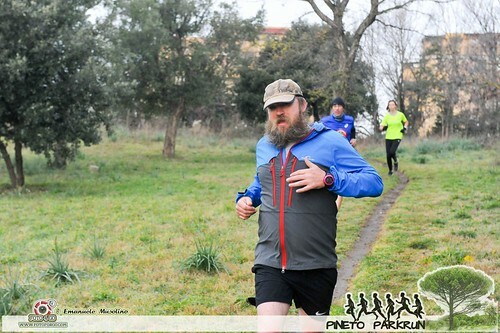 Instead, Nathan SEAL is an “old” friend of parkrun Italia: during his holiday here, he has managed to drop in on Caffarella, Firenze, Milano and finally came to see us. Not far behind him, we find John DOYLE, who gets an honourable mention simply because we like his spectacular beard! She isn’t a tourist as such, but new local girl Amber EDWARDS has already begun to better her time on our course on her second time around. 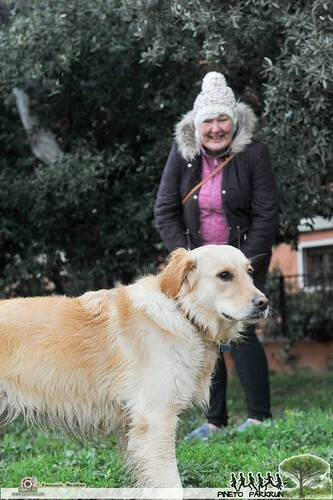 Closing the day’s proceedings we had Daniela BRUGNOLI who with her dog Lola, shows us that parkrun is also perfect for those who wish to walk (although in this case a rather speedy walk)! 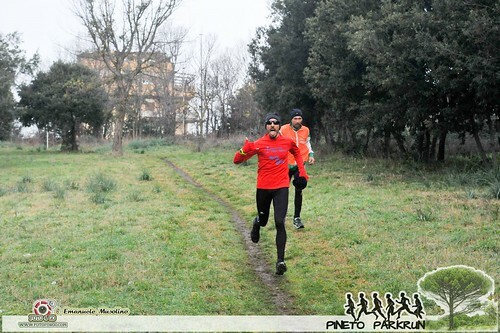 We will meet up again next Saturday at Parco del Pineto, via Vittorio Montiglio entrance, at 8:40 am (for a 9 o’clock start).